Apple iPhone users are able to initiate a speakerphone call by using the phrase "Hey Siri" on the latest beta version of iOS 8.3. By asking Siri to make a call using the speakerphone, that is exactly how the call will be dialed. 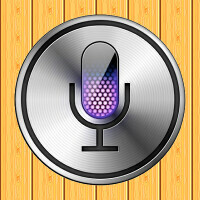 For example, if you say "Hey Siri, call Johnny Doe on speaker," the voice activated virtual assistant will make the call through the speakerphone as opposed to using the phone's internal speaker. Besides allowing Siri to make calls for you via the speakerphone on the your handset, iOS 8.3 will add support for CarPlay, additional emoji and the ability to log into Google accounts using two-factor authentication. Speculation has Apple adding its new music streaming service in iOS 8.4. There is no word yet on when iOS 8.3 will be disseminated. Apple has started offering public access to iOS beta builds starting with iOS 8.3, so if you follow the directions, you might be able to load iOS 8.3 beta 3 on your iPhone. Keep in mind that since beta versions of the OS are not ready to be rolled out to the general public, certain features might not work. But that is the risk you take as a public beta tester. A great addition, you can safely distance yourself from the charger during calling ! Adding the voice commands isn't the issue, it's the fact that if it were reversed, there would be riots, hair pulling and hand winging from diehard Apple fans about copying Apple. The hypocrisy is the issue. Never thought of it....lol just tried it on Cortana, Call Love on Speaker, low and behold, it worked on speaker. Never even thought to try it, good to see Cortana already has it and no clue how long she has. I love Cortana! I want her on Android, I would jump to Windows Phone 10 if Microsoft supported it more in Australia and brought on-board more app developers.